It’s time for a bonusode! 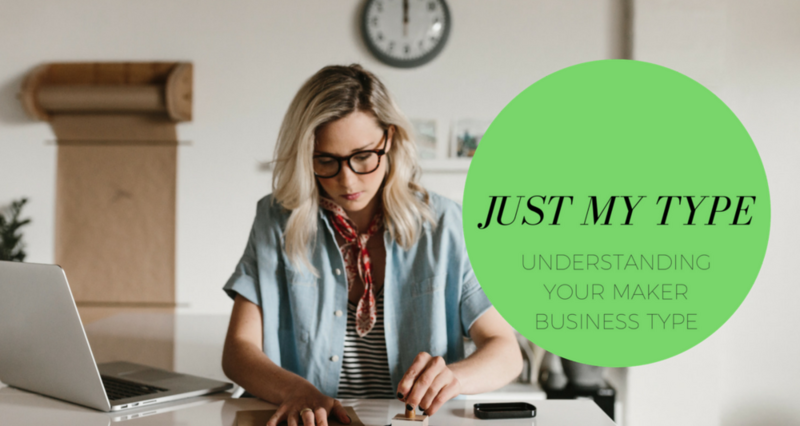 In this special edition of Your Handmade Business, Isaac replays the Just My Type webinar we hosted last Fall in preparation for the relaunch of our signature program, Jumpstart Your Handmade Business. Last Fall, Sharon and I debuted two things: first, our Maker Business Type Quiz, and second, our signature program for makers called Jumpstart Your Handmade Business. Our Maker Business Type Quiz is specifically designed to help you better understand what kind of business you have now, and what your ideal kind of business is for the future. If you’ve listened to the podcast at all in the past or watched any of our YHBTV, I’d wager you’ve probably heard us mention it. The Jumpstart Your Handmade Business program takes what you learn about yourself and your business in the quiz and dives deeper into goal-setting, strategic thinking, and resource-hunting to help you get from Point A to Point B. When we first launched Jumpstart, we hosted a webinar called “Just My Type”, where Sharon and I dissected each of the business types in greater detail and answered audience questions about the quiz and the program. Well we’ve been working on revamping, revising, expanding, and going deeper with Jumpstart in anticipation of our relaunch of the program very soon, so we thought we’d trot out the Just My Type webinar as a bonusode to help set the stage and bring anyone up to speed who hasn’t yet taken the quiz. Take the free Maker Business Type Quiz! Register for the Jumpstart Sessions.